Tucson Chiropractor and Neurologist, Dr. Conlee, uses a multitude of alternative therapies and treatments at WinterHaven Health Center in Tucson, AZ. The following are some of the treatments and techniques employed by Dr. Conlee at the WinterHaven Health Center. Other treatments are used but are not listed here. Please contact us to inquire about any of your specific requirements. 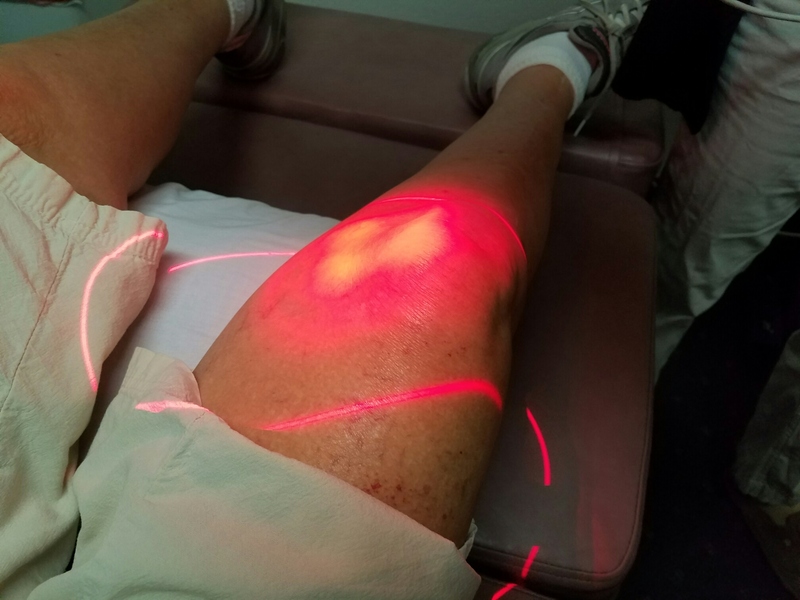 Dr. Conlee uses Heilum-Neon (HeNe) and Laser Diode/infared equipment for Low Level Laser Therapy. Research has shown LLLT creates photobiostimulation which activates enzymatic processes in our cells that promote cell metabolism (increases cell function) that eventually increase/release key hormones from the pineal bland who’s primary source of stimulation is light energy. LLLT has been successful in treating Carpel Tunnel Syndrome up to 85% of the time and other non-repetitive stress disorders. Fibromyalgia seems to respond well as does trigeminalneuralgia, scar tissue, complications from surgery, torn cartilage, nerve damage and headaches, muscular injuries, open wound and diabetic lesions. Clinical research continues to be done on hundreds of different conditions. Ultra Sound: This is the use of high frequency sound waves which increases blood flow for increased nutrition and fuel delivery while softening scar tissue and breaking up adhesions. These treatments also relieve pain. Low Volt – used for reducing muscle spasm and pain relief. High Volt Galvanic – used for reducing muscle spasm. Russian Stimulation – used for strengthening muscles in “Pre”-rehab. Interferential – is electrical stimulation, which reduces pain and swelling. Iontophoresis – also is a pain and swelling reduction technique. Micro Current – Increases cellular metabolism to speed healing. Traction: This is used to reduce pressure in the spine with conditions with spinal arthritis and disc injuries, sciatica and more. Traction treatments also helps the inter-vertebral disc rehabilitation and increasing blood flow to the intrinsic structures of the spine. Intersegmental Traction: This is like a roller massage table, also referred to as Combi-tables which employ heat, vibration and intersegmental traction. This increases blood flow to the discs, spinal ligaments and musculature. 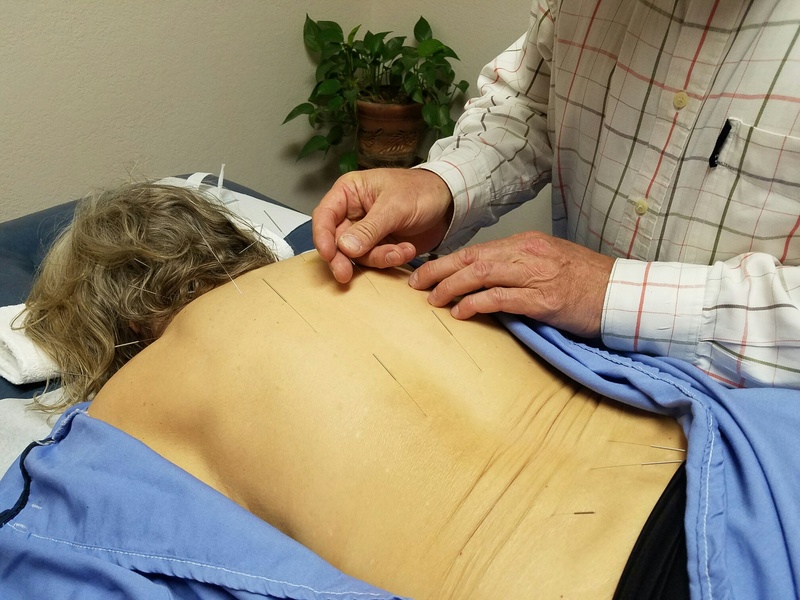 This also stretches and softens scar tissue, ligaments muscles and inter-vertebral discs also intersegmental traction activates acupuncture associated meridians on the back which help the body heal. Hot Packs: These relax muscles, increase blood flow, and speed healing. Cold Packs: Used for decreasing pain and reducing swelling. Acupuncture: WinterHaven Health Center uses Electrical Meridian Imaging for diagnosing meridian imbalances and treatment points. Nutrition: WinterHaven Health Center uses Electrical Meridian Imaging for diagnosing meridian imbalances and treatment points. Exercise: Dr. Conlee prescribes numerous exercise programs tailored to the individuals specific and general needs. Regimes may include flexibility via stretching, yoga or referral to a therapist specializing in these flexibility techniques resistance strength training via weight lifting, therabands/dynabands or theraball, and referrals to personal trainers. Postural training, specific neurological rehab techniques and ergonomic workstation assessment. Massage: WinterHaven Health Center is proud to have Tee Wills, LMT, as our on staff Massage Therapist. Tee is also an instructor at Desert Institute of Healing Arts Massage School. We also have may other referrals for qualified Licensed Massage Therapists in the event of timely needed treatment when Ms. Wills busy schedule can not accommodate. This is Dr. Conlee’s favorite field, helping an athlete reach their maximum athletic potential. To see an athlete do better than they have ever done before is very rewarding for both the doctor and the patient. At WinterHaven Health Center, there are physical, bio-mechanical and bio-chemical assessments performed to weed out any imbalances or neurological performance inhibiting factors. They are then corrected and the athlete is shown how to maintain optimum performance, allowing the athlete to express their magic at their peak ability. With hundreds of hours of postgraduate training and treatment of 1,000’s of patients with neck and back injuries, Dr. Conlee and WinterHaven Health Center prides themselves on professional quality care which provides the fastest results. Combining chiropractic neurology, physio therapy, acupuncture, exercise, nutrition and homeopathic remedies, this all allows the patient to achieve dramatic relief and exceptional results. Dr. Conlee has also testified numerous times as an expert witness for auto injuries and spinal trauma cases. 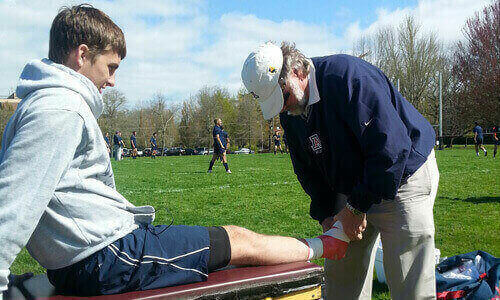 Dr. Conlee is a Certified Chiropractic Sports Physician and Team Physician for the University of Arizona Wildcat Rugby. Dr. Conlee has treated hundreds of sports related injuries. At WinterHaven Health Center, getting the athlete back into competition as fast as possible without compromising safety is paramount. Being aggressive with physiotherapy, rehab, nutrition, acupuncture and chiropractic neurological assessment, results in shorter recovery times. Applied Kinesiology: This technique uses muscle testing as a diagnostic and therapeutic tool. Diversified: Is a general compilation of mechanical techniques ranging from general hands-on manipulation to very light touch pressure. Activator: This is the use of very light force for correction. Palmer Methods: These are earlier techniques historically taught at Palmer College that when used at the appropriate time, achieve amazing results. Personalized Techniques: These are techniques devised by Dr. Conlee himself, and learned at numerous post graduate conferences. All techniques are based on sound neurological assessments and bio-mechanical principles.